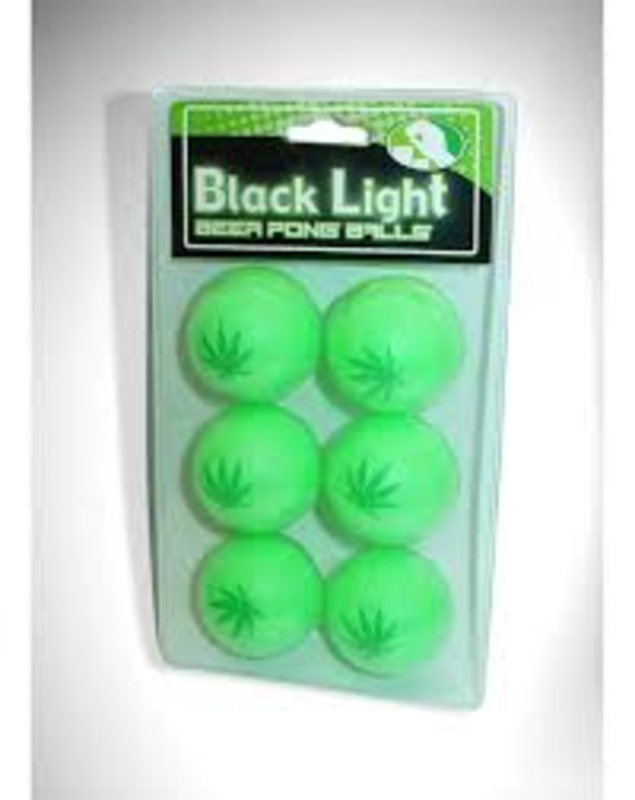 Have fun under blacklight with this set of 6 Blacklight Responsive Leaf Beer Pong Balls. 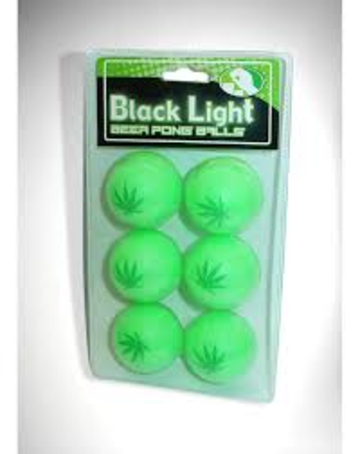 You get 6 blacklight reactive leaf pong balls. Take your beer pong obsession to the next level. Not only do these pong balls make it possible to play under blacklight, they also add an awesome effect and new life to the most popular drinking game. Fill up your cups with your favorite beer, turn on the blacklights and get the party started!